Published in cooperation with the Scottish Fisheries Museum, Anstruther, Fife. This A4 sized book with colour throughout is an excellent guide to Scotland's fishing past and present. 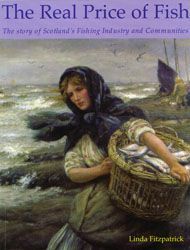 The authoritative text is by Linda Fitzpatrick who is the Curator of the Scottish Fisheries Museum.